Removal of lower branches allowing for increased sunlight and improvement to accessible areas, therefore better use of outdoor living space. Trimming the tree from its current size and shape in order to reduce its overall size, providing increased sunlight to surrounding area. 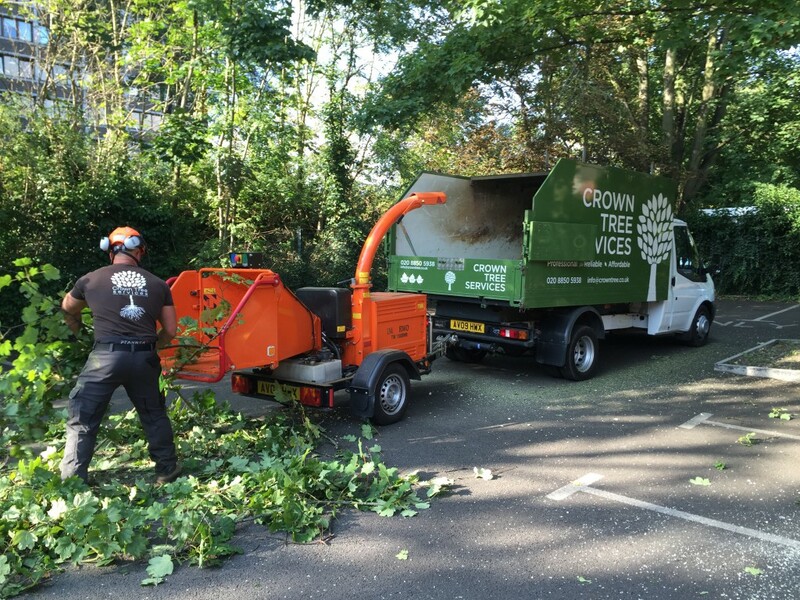 Removal of certain branches whilst maintaining the overall size and shape of the tree, providing increased sunlight to surrounding area. Large and small scale tree planting service can be provided in order to replace an unsuitable tree or in some cases once a tree has been removed that was restricted to planning then the local authority will insist on a replacement. We can both provide you with a replacement and re plant. At times some trees are restricted to planning. This is where an individual tree will require consent in order to carry out work and is referred to as a TPO “tree preservation order”. In some cases a road or village or area of land may also be restricted to planning. This is referred to as a conservation area and again will require consent from your local authority prior to any works being carried out. Please call a member of the team for more information on 07842 767248﻿ or 020 8850 5938. Stump grinding service using the latest technology in stump grinders. 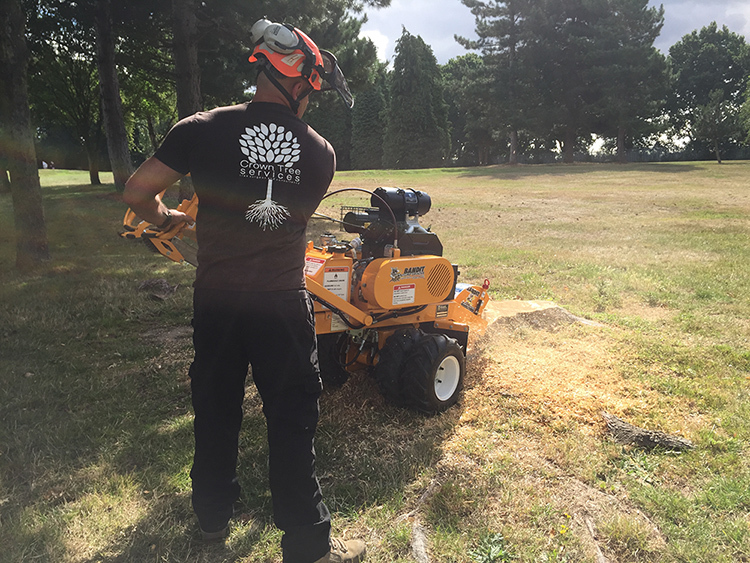 We can remove large to small tree stumps of any size utilizing one of our many stump grinding machines operated by our qualified tree surgeons.